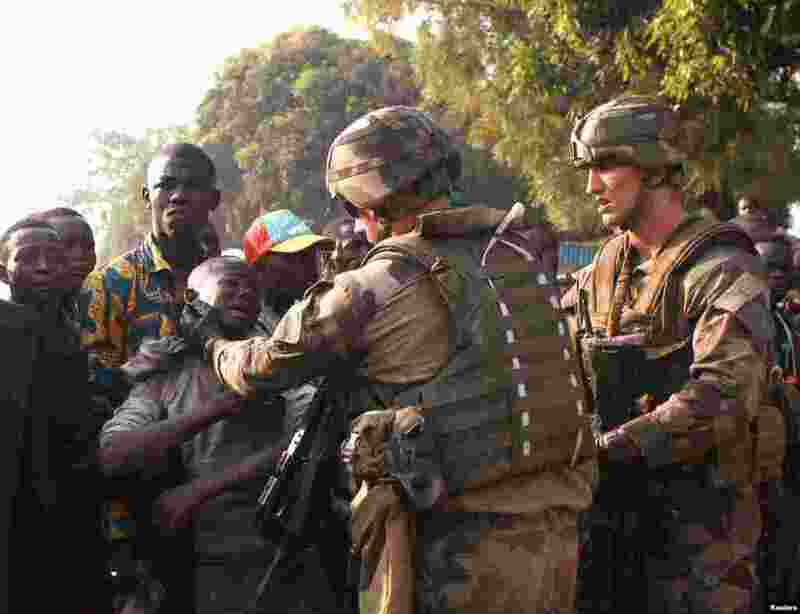 1 French military personnel try to control supporters who are asking them to disarm fighting gangs, near the airport in Bangui, Central African Republic. France appealed to European partners for assistance in quelling months of religious violence in its former colony. 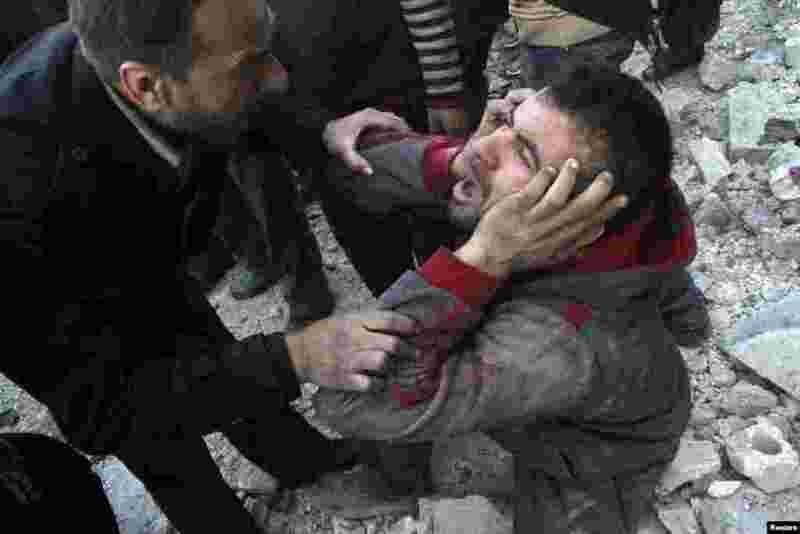 2 A man reacts after what activists said was an air raid by forces loyal to Syrian President Bashar Al-Assad in Aleppo's al-Marja district. More than 300 people have been killed in a week of air raids on the northern city of Aleppo and nearby towns, a monitoring group said. 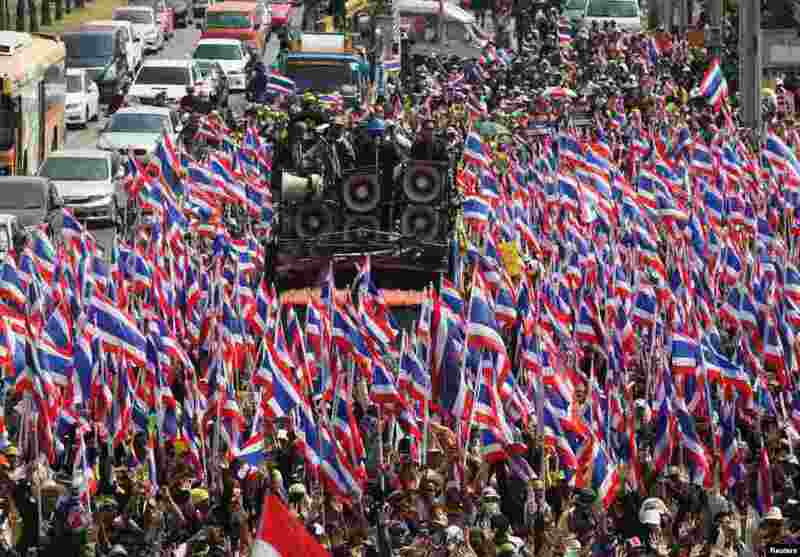 3 Anti-government protesters hold Thai national flags as they march toward the Department of Special Investigation (DSI) in Bangkok. The Thai baht plumbed its lowest level in almost four years as a political crisis grew more intractable. 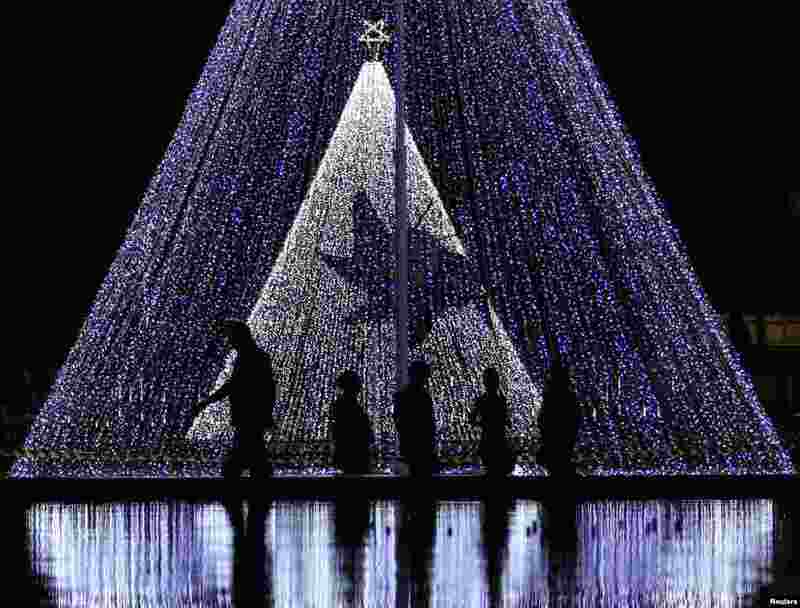 4 People walk past decorations on a street ahead of Christmas day celebrations in Colombo, Sri Lanka.